The nginx web server is a fast, lightweight server designed to efficiently handle the needs of high-traffic websites. Although commonly used to serve static content, it's quite capable of handling dynamic pages as well. This guide will help you install and run nginx with PHP via FastCGI for Centcount Analytics on your Ubuntu 16.04 Server. The steps in this guide require root privileges. Be sure to run the steps below as root or with the sudo prefix. The first command shows your short hostname, and the second shows your fully qualified domain name (FQDN). The first command sets your hostname, the second reads hostname or NIS domain name from given file. This guide is written for a non-root user. Commands that require elevated privileges are prefixed with sudo. If you're not familiar with the sudo command, see the Linux Users and Groups guide. In this guide, the domain example.com is used as an example site. Substitute your own FQDN or IP in the configuration steps that follow. Nginx uses server directives to specify name-based virtual hosts. Nginx calls these server blocks. All server blocks are contained within server directives in site files, located in /etc/nginx/sites-available. When activated, these are included in the main nginx configuration by default. 1. We made an example configuration file for you below. You should now have the following server block in the nginx virtual host configuration. Replace all instances of example.com with your domain, modify the root path as shown below, and add the location ~ \.php$ block. The SSL certificate is recommended for connection security. You should add a new server block to listening 443 port. Replace the example SSL certificate file to your certificate file. 3. Configure PHP7.0-FPM to optimize server performance. 6. The source file is saved, and the site can be re-enabled at any time by recreating the symbolic link. If you are using nginx to host more than one site, create multiple virtual host files using the method above. The MySQL database engine is one of the leading open-source relational database engines and is a popular database solution for web-based applications. 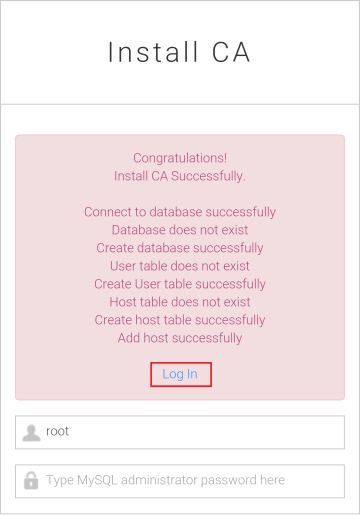 During the installation process you will be prompted to set a password for the MySQL root user via an ncurses menu. Choose a strong password and keep it in a safe place for future reference. 4. Edit mysql config file to change the charset settings and sql mode. Add below settings into [client] section and [mysqld] section. Notice: Some VPS providers denied the mail sending port. So, make sure your VPS is allowed to use mail sending port, otherwise Postfix will not work properly. When you visit http://www.example.com/test.php in your browser, the standard 'PHP info' output is shown. 1. You can download Centcount Analytics installation file from GitHub or Gitee. 2. Unzip IP address library package which is included in Centcount Analytics project. Centcount Analytics packed 2 free IP address libraries (IP2Location & GeoIP) and offers API to access it. You can directly replace the free edition to the commercial edition which offered ISP information & more accurate. And you don't have to change any code. define('FORCE_SSL', true);//If you don't have SSL Certificate, please set this const to "false". define('CURL_PROTOCOL', 'https://');//If you don't have SSL Certificate, please set this const to "http://". We strongly recommend you apply a SSL Certificate for your analytics website. If your VPS configurated Multi-Core CPU. We strongly recommend setting multi-instance redis to improve Centcount Analytics gets maximum performance. 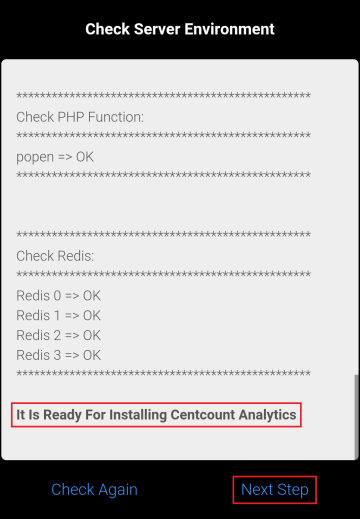 For now, every thing is ready for installing Centcount Analytics. 1. Visit the url: https://www.yourdomainname.com/install.php in browser. The Centcount Analytics Agreement will be shown. 2. 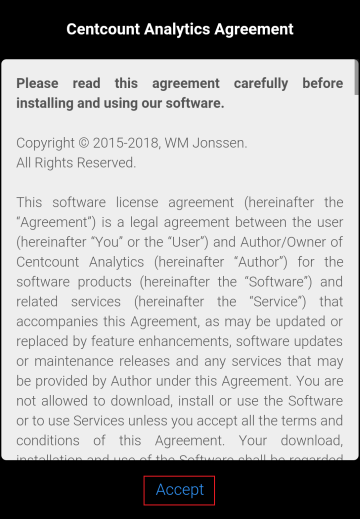 Please read Centcount Analytics agreement carefully before installing. If you agree on all the terms, then click the "Accept" button to continue. 3. If all settings & configurations are all right, click the "Next Step" button to continue installing. If there is something wrong, please make sure all issues be solved before installing. 4. 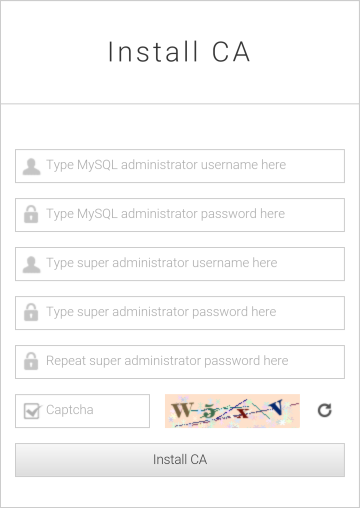 Input MySQL username & password, specify the administrator's login email & password for Centcount Analytics. And click the "Install CA" button to finish installing. 5. Now, you can login Centcount Analytics to add a site. Congratulations, you've configured the nginx web server to use PHP-FastCGI & Redis for Centcount Analytics!